Yesterday was a very good day for healthier tomorrows in Burlington. 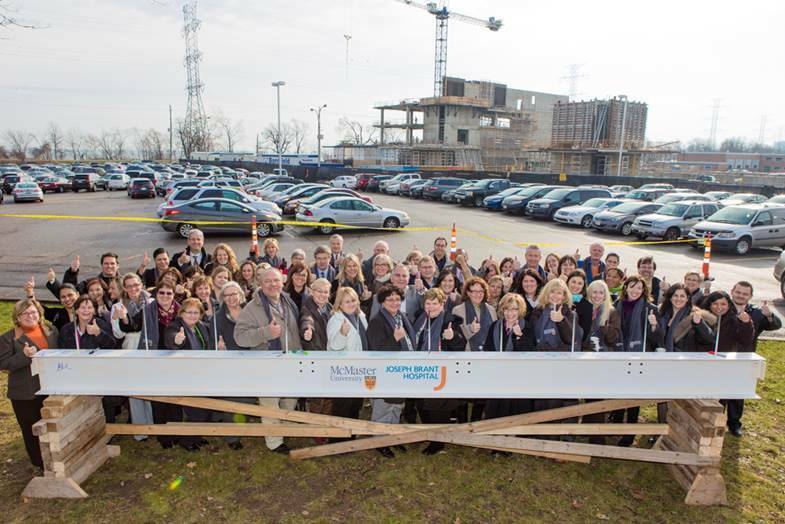 It marked an important milestone to “top off” construction at Joseph Brant Hospital for the new Halton McMaster Family Health Centre. As shown below, a special steel beam will form part of the building rising up in the background (I’m the tall guy, back row on left side). I have the great privilege and responsibility to be on the Hospital’s Board of Governors, and was also appointed Vice-Chair on the Hospital Foundation’s Board of Directors. Let’s be candid: Burlington was long overdue for a better hospital. Guess what? It’s happening. So much is going on and getting done behind the scenes, and in front of them now. Stay tuned and keep watching as Jo Brant is tranformed. 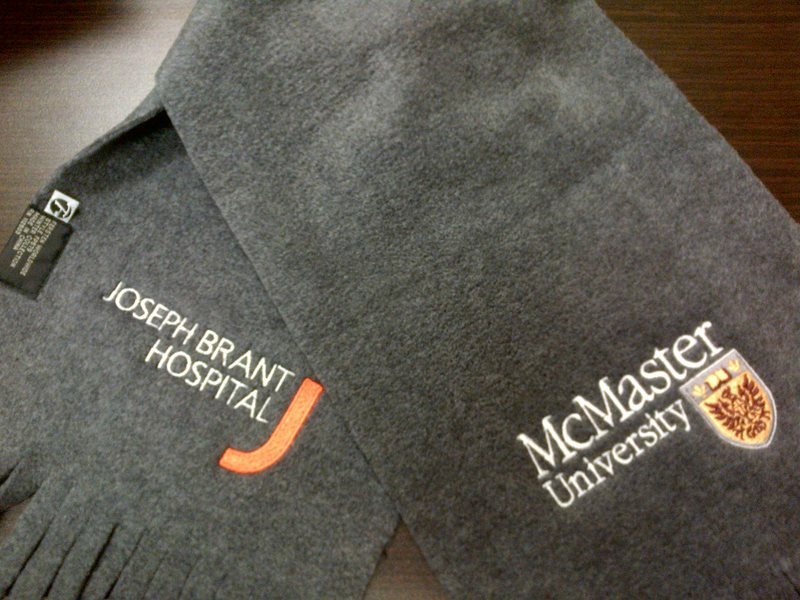 The new era of Jo Brant even includes Twitter, Facebook and Linkedin! 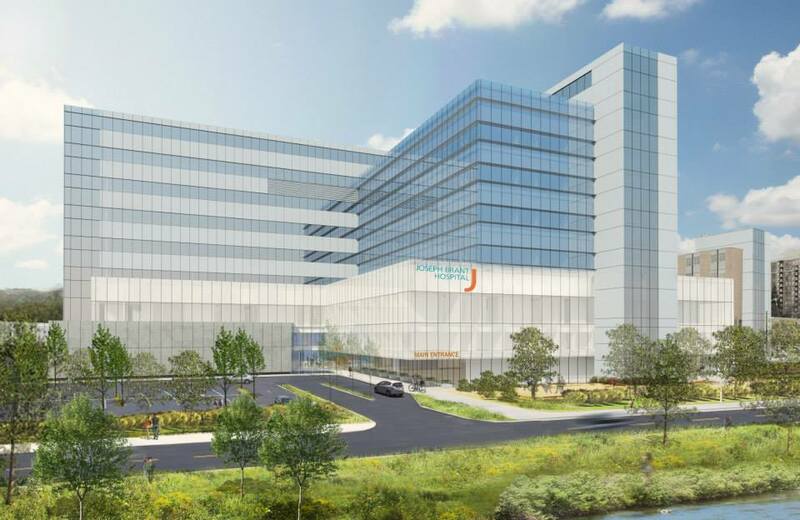 As Mayor Rick Goldring said yesterday, with so many new parts to the redevelopment and expansion project, it really seems like Burlington is getting a new hospital.